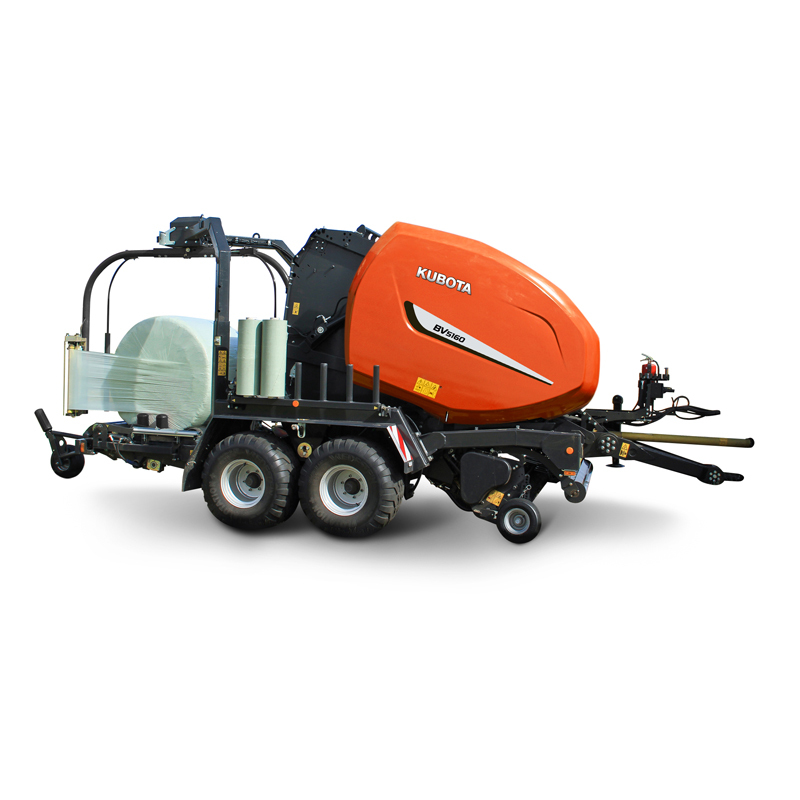 Kubota BV5160 – BV5200 FlexiWrap Baler-Wrapper Combination. It incorporates the BV5160 or BV5200 with the twin satellite wrapper, all firmly mounted onto a strong and durable chassis with tandem axles. 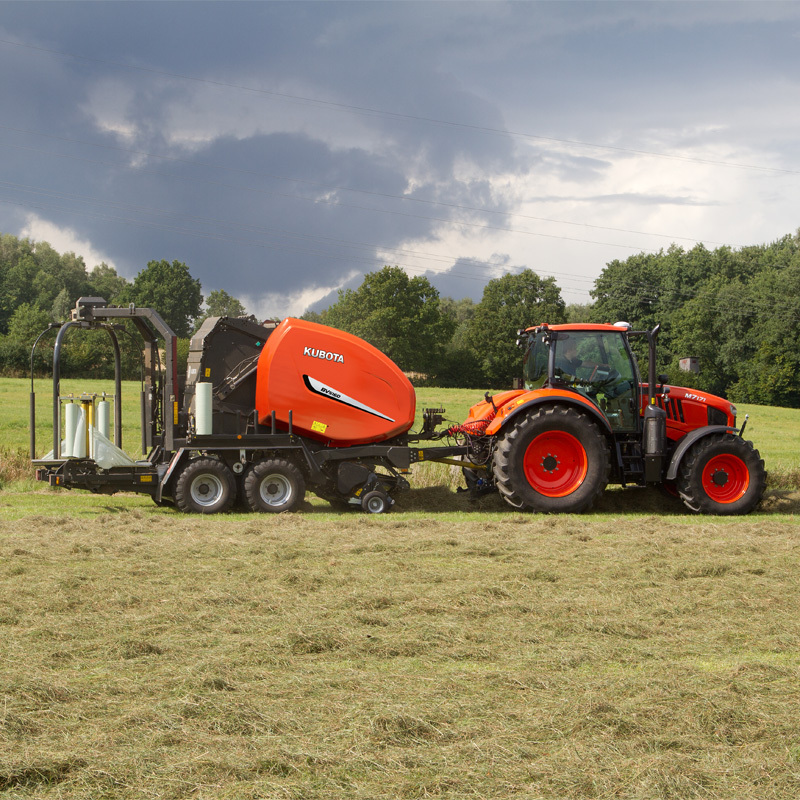 This combination is designed for working under demanding conditions, and the unique bale transfer solution ensures trouble free operation, even on steep slopes. High speed wrapping with two pre-stretchers – wrapping process will always finish before the next bale is ready. Low table height for gentle unloading of bales. Optional bale on end kit available.